The most important point is probably "just do something!" That is, there isn't a single right answer about how to get started. But inaction is the wrong answer. If you want to get into motorsports, get into motorsports somehow, some way. The real point here is that for some people (many people) there is a little apprehensiveness about having to perform. If you can just force yourself to do anything, your comfort level will begin to rise. 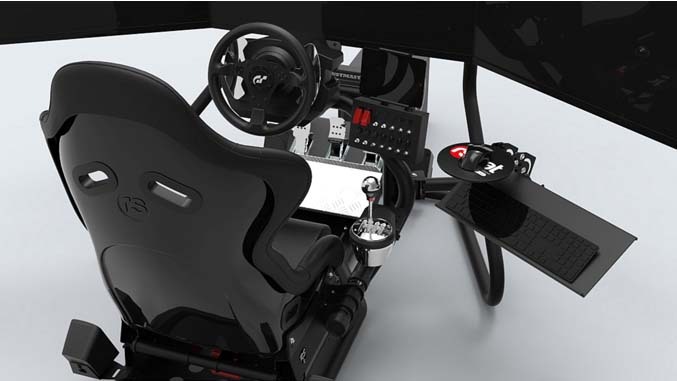 Get a racing simulator wheel/pedal set and a one month subscription to iRacing. The default wheel/pedal set is the Logitech G920 which is under $300. You can use this with a desk or table and a chair, so this is all the added hardware you need (assuming you have a computer). If you want to get slightly fancier, you can get a wheel stand or cockpit, but this isn't necessary. You want to use iRacing because it has the most realistic rendition of how real cars behave among the affordable simulator software offerings. The one month iRacing subscription costs under $10, so your total outlay will be under $300. And you can, and will, use your simulator gear for the rest of your career. Start using your simulator regularly. You can pick a track in your area and just run laps, not races, if you wish. If you find that you regularly crash, don't feel bad. Many experienced racers find that it takes them 10 or 20 or 30 laps on a new track to be able to do a single lap without crashing. In light of this, we also recommend that you avoid the temptation to pick a very fast car. Simulators are tough because you lack the motion input you have in a real car -- practically all the feedback about car control is visual. Having a very fast car simply makes hard harder because events unfold faster. This is also good practice for the long learning curve that racers go through to move from "the car is the thing" to "the driver is the thing". Start to think of yourself as a racer. Many very strong racers started on simulators and almost all of them say that sims helped them a great deal. Sim racing is real racing. 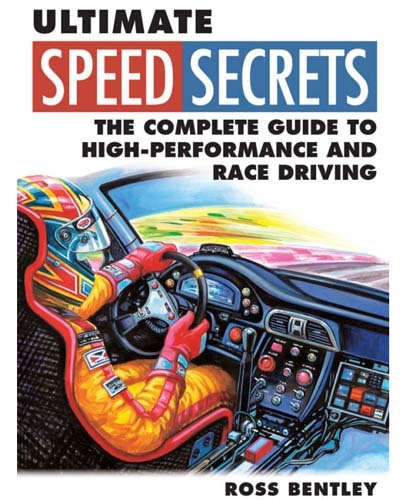 Get this book, especially if you find you're bugged that you don't exactly know what you are trying to do and want to have a concept of what fast driving involves. Then start with chapters 5, 8 and 9. Then practice on your sim. Think a bit about what your goals are. We recommend concentrating on what you think might really motivate you to keep going. Roughly speaking, we find there are three basic motivations. Some people say "I have a car I love, but I'm frustrated that on the street I can't drive it the way it was meant to be driven." Some people say "I love cars and I'd like to build a fast or faster car that was really cool." And some people say "I'm a competitive person and I think motorsports competition would be really exciting". If you want to drive your street car to its potential, you should try HPDE (High Performance Driver Education) or track day events. HPDE is a good thing for just about anyone, since you get some instruction in basic driving, often for free. You need a little equipment. If you want to build a cool car, you should investigate TT (Time Trial) or Time Attack events. If you want to compete, the most cost-effective competition is in Autocross or TT (you might also consider karting, especially if you are young and don't have a driver's license or car). Each of these can be done in your existing car (usually) for the cost of entry fees ($150 and up) and a helmet. There are specialty HPDE organizations in some areas (e.g. SpeedVentures or Chin), but the national HPDE and TT organization is NASA. NASA HPDE has the virtue of being a path to wheel-wheel competition should you ever want to go there. SCCA is the national Autocross organization (called Solo in SCCA parlance). Get a NASA or SCCA membership. This is inexpensive and will put you in the information loop for events that they host. In some areas, there are regional or local organizations that do track days or Time Attack or Autocross, so you may want to Google those terms plus your city name. The SCCA and NASA rule books are a gold mine of information, btw. Go to an event planning to check it out, not to participate. Observe. Ask who the organizers are and when they have some free time (e.g. not at 8am) tell them you are a novice and want to know how to get started. Almost everyone in motorsports a) loves the sport and b) wants new people to get involved. Novices are generally welcomed with open arms and they'll do their best to show you around, introduce you to people and answer questions. Some people just know they want to go road racing. Now. For these drivers, we recommend signing up for a licensing school. If you go to an organized school like Winding Road Academy or the Level Up Racing School, you'll get experienced instruction, everything will be provided including a race car, and you'll emerge with a provisional license. At that point you can contact a race shop like Winding Road Racing or ATL Speedwerks or TFB Performance and they can create an arrive & drive program to meet your needs. Again, all you will need to do is show up and race; the shop does everything else. After you have some experience, you can decide whether you want to buy a car, truck, trailer, tools etc.